Do you find the holiday season overwhelming with all of the extra to-do's on your list? Have you ever wished you were more prepared in advance for the holiday season in your practice? Today on the podcast, we're talking about how to get through the Holiday Season without losing your mind! How to decide how you want the holiday season to feel, and then go make it happen! Why it's the most wonderful time of the year to delegate, automate and delete. Do you dream of being more present with your family (aka NOT working allllllllll the time) but not willing to sacrifice your big income goals? Are you ready to make changes in your practice so that it leaves you with more energy left for the rest of your life but not sure where to start? If this sounds like you, then sign up for the Present & Profitable 10-Day Challenge. Give us your name and email address—we’ll give YOU key exercises that create more alignment in your life and practice. Plus we’ll give you a bit of support along the way! Hey there! Thanks for signing up for the Present & Profitable 10-Day Challenge! Be sure to check your inbox for a confirmation message and click the confirmation box inside. Without that final step, you won't be subscribed and sadly you’ll miss out on the Present & Profitable Challenge emails that you signed up for! 076: 3rd Paradigm Chiropractic - Is it Right for You? Do you wish your patients stayed under care with you longer? Are you uncertain how to help people understand why they may want to be adjusted even when they feel fine? 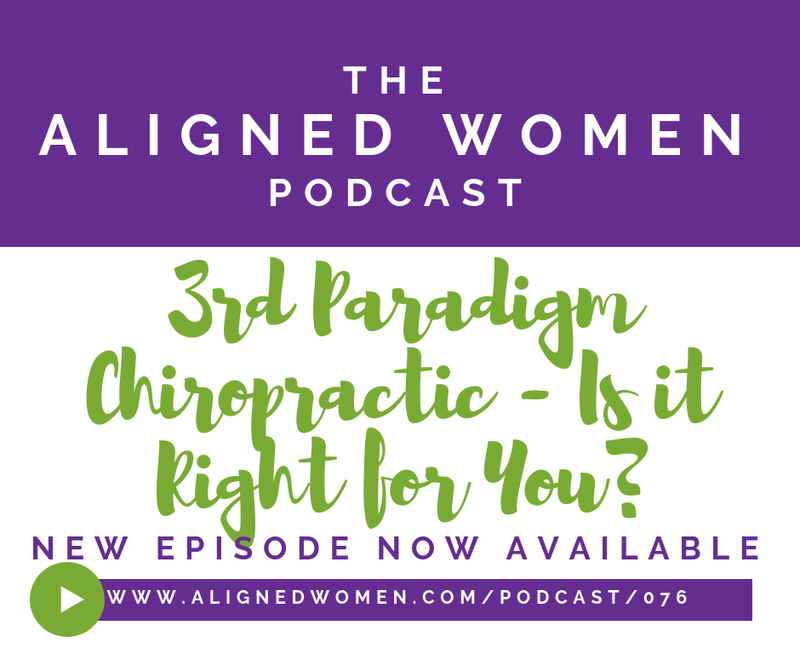 Today on the podcast, we're talking about 3rd Paradigm Chiropractic. Do you feel overwhelmed by all that there is to do in at work and at home? Does your to-do list seem to grow faster than you can keep up with? 074: How Can I Get Over My Fear Of "Closing The Sale"? Has someone ever said, "Oh, you're a chiropractor?! I really need you," and then you said nothing...? Do you find ROFs and giving treatment plans to be like, really, awkward? 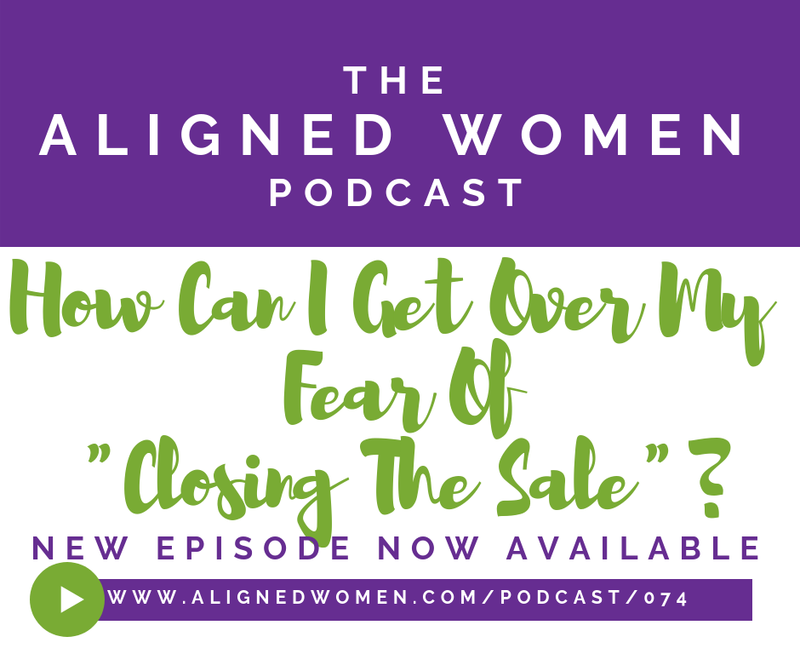 Today on the podcast, we're talking about how to get over the fear of closing the sale. 073: Why Do I Avoid Asking For Payments From Practice Members? Do your patients leave the office without having paid for the services they received that day? Do you find yourself wanting to avoid talking with patients (or, well... anyone, for that matter) about money? Today on the podcast, we're talking about why most people avoid asking for payments from practice members! 072: How Can I Get Help Growing My Business? Do you feel exhausted and worn out from trying to do it all in your practice by yourself? Do you wish there was a steady stream of referrals coming into your practice each week? If you answered yes to those questions, then please listen to this episode! Today on the podcast, we're talking about how to get help growing your business. 071: How Do I Find Time For It All As a Mom and Practice Owner? Do you find yourself too often saying to your child, "I don't have time to play right now"? Do you feel like there's never enough time to stay on top of your SOAP notes? Today on the podcast, we're talking about how to find time for it all as a Mom and a practice owner. This is such an important topic for women chiropractors, and specifically women who have families because we have so many people who need SO MUCH from us! 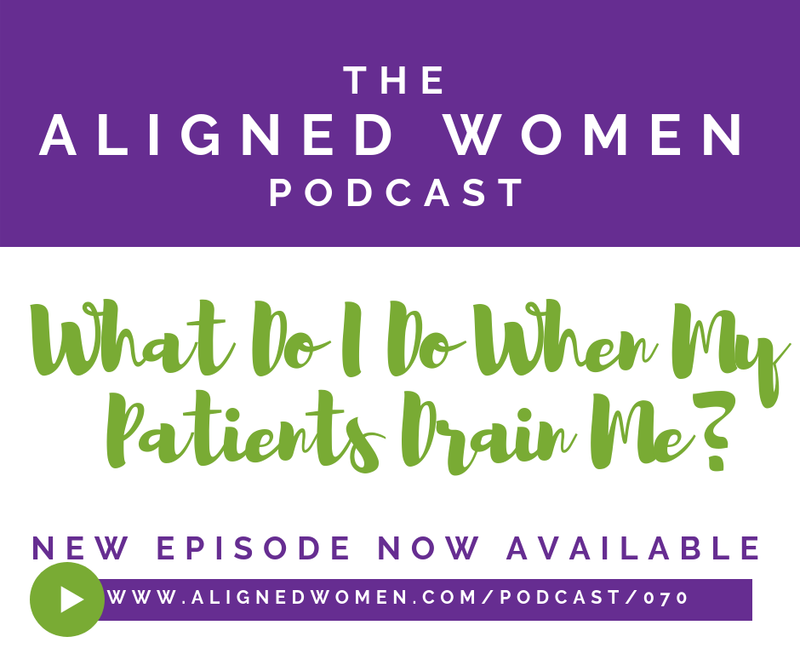 070: What Do I Do When My Patients Drain Me? Have you ever looked at your patient schedule for the day and groaned when you saw a certain someone's name? Or, have you ever had a patient leave your office and you felt like you needed to go curl up on the floor to recover? If you've experienced either one, don't worry... you're not alone! Today on the podcast, we're talking about what to do when your patients drain you. It's vital that we do our best work for patients and for our children. And showing up your best means setting clear boundaries and protecting your time and energy. 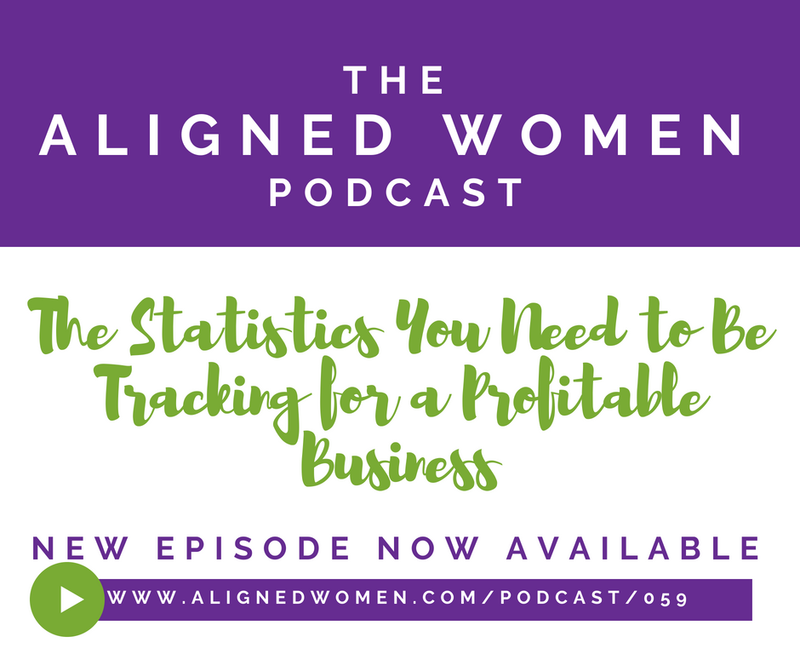 If what you hear in today's episode makes sense, but you're not sure how to go about creating a base of patients who energize you instead of drain you, get on the waitlist for the Aligned Women membership. We can help! Did you spend hours upon hours creating a 5-Year Plan for your business, only to complete it having no clue how to actually move forward with carrying it out? Or maybe you’ve made plans with the best of intentions, only to have them derailed when your child got sick and then struggle to get back on track. In episode 069, we’re sharing with you one necessary tool to help you clarify goals and stay focused on them in your practice. That tool is what we call The Quarter Card. The Quarter Card is a simple one-pager that allows you to identify what your focus is and goals are in each dimension of life—Self, Marriage, Family, Practice and Community. You can snag a copy of our Quarter Card that you can use over and over again each quarter by entering your info in the green box below. Get Your Free Copy Of The Quarter Card Here! Tired of flying by the seat of your pants when trying to reach goals in life and practice? Want to make planning your intentions and goals for your life and practice easier? Join our Aligned Women Insiders newsletter, and we’ll give you instant access to our Quarter Card reusable template. In the meantime, here’s instant access to a reusable copy of The Quarter Card. Print this and plan an awesome 4th Quarter 2018 right along with us in Episode 069! 068: Is Scarcity Mindset Keeping You Stuck? Do you constantly feel like there are never enough patients, there’s never enough time, and there’s never enough money? If so, please make the time to listen to today’s episode. In episode 068, we talk about scarcity mindset. 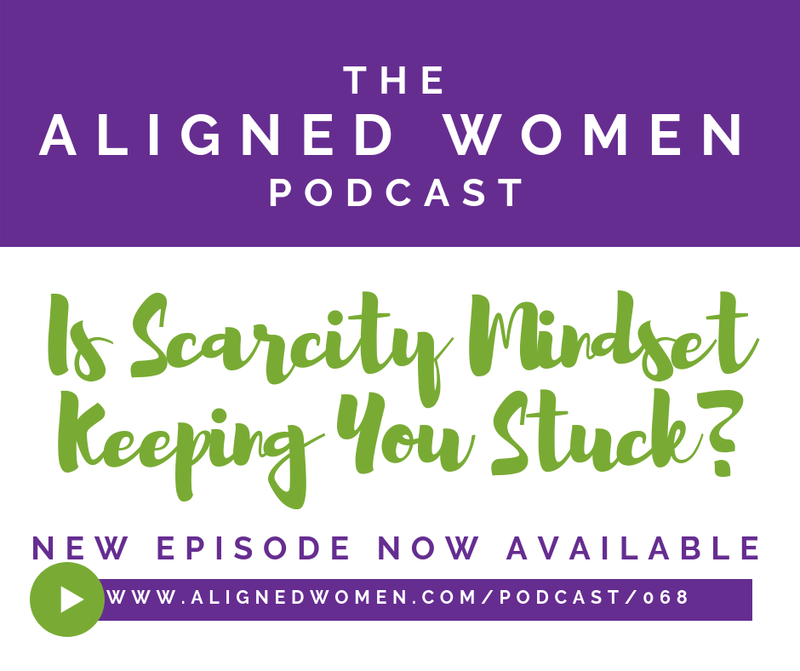 You’ll hear us describe what scarcity mindset is and how to know if it’s a part of why you feel stuck in life and practice. We’ll also talk about the origins of the beliefs that there’s never enough and most importantly how to overcome these limitations. If you’ve ever worried when a new doc opened up down the street from you or feared that people just don’t want to pay for the care you provide, we know this conversation is vital for you to hear. 067: What's the Biggest Reason Moms Leave Practice? Today on the podcast we’re having a hard conversation about what really takes women who have children out of practice. Ladies, it’s all about our unmet expectations. Whether you realize it or not, you likely have expectations of your staff, your patients, your family and yourself. When our expectations aren’t met, it’s leads us to feeling frustrated, burned out and wanting to throw in the towel. Our mission at Aligned Women is to empower women in chiropractic to grow profitable practices that allow them to be present with their families. In other words, we want to see more women feeling successful and staying in practice longer. So we knew it was important to share this conversation today. Are you holding on to unrealistic, unhealthy expectations? Is there something you can do right now to better manage those expectations? It's one of the most commonly asked questions in Mama Chiropractors, as well as most other chiropractic Facebook groups. We always recommend the same thing when this question comes us: start by defining your Ideal Patient. Create an "avatar," like a profile, of that person. Describe her in detail. When have a full masterclass on it for our members that will soon be available to you, too. So today on the podcast, we're sharing with you rapid-fire marketing ideas. We hope that this episode--in addition to Episode 060 on creating your Ideal Patient avatar and Episode 061 on how to make screenings NOT cheesy--are helpful to you! In fact, we'd love for you to share your biggest take-away from this episode in our free FB group, Mama Chiropractors. See you there! In August 2018, Dr. Danielle took the stage at Life West's annual event The Wave in Oakland, CA. The experience was definitely a highlight of her career so far, but it didn't come easily. Danielle was about 7 months pregnant when she was asked to speak at the event. She did the math in her head and figured her baby would be about 9 months old by the time mama would be leaving for an overnight trip. Surely baby would be ok without mom by then, right? Well.... that's not exactly how it turned out. In this episode of the podcast, we share a behind-the-scenes look at what it's really like to be a mom, a chiropractor, and a speaker in the chiropractic profession. With the back-to-school season in full swing, we know things are really hectic right now. There's changes in drop-off and pick-up routines. School supplies to shop for. There might be tears--yours or your kiddo's. We hope that this time of transition is easy and smooth for you, your family, and your practice, too! This week on the podcast we're sharing the audio recording from a talk that Dr. Danielle gave at The Wave on August 11, 2018. We'll be back next week with a behind-the-scenes chat about what it was like for a mama chiropractor to take time away from her family to speak at such a big event in the chiropractic profession. 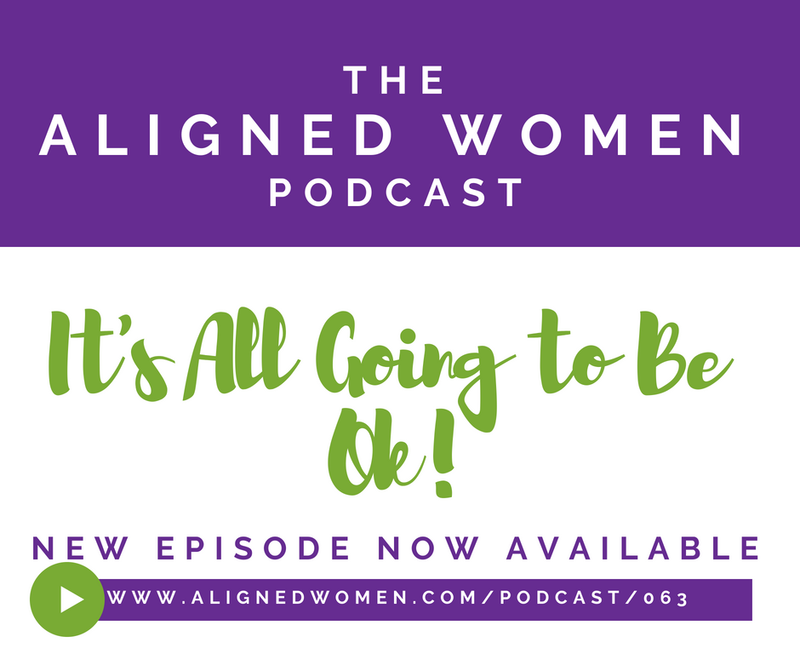 063: It's All Going to Be Ok! As we head into the end of summer we are in a season of change in our homes and in our practices. We are in the back to school season, and that can mean some chaos. It's easy to get caught up in the commotion, but we want you to remember this season will come and go. In this episode we wanted to remind you of three simple things. 1. You aren't in your chaos alone. We are all in it with you. Give yourself some grace, and be in the moment. 2. Don't compare yourself. As much as it seems like everyone has it all together on social media, that's not usually the case. Everyone is going through the same kind of things. 3. Give yourself a little bit of perspective. Take a step back and look at the big picture. A lot of the things you used to worry about have probably worked out just fine. The same goes for this time. When you have both a family and a practice, it can feel like there's always so much to do.... and that it all has to be done right now! Narrowing down your focus to what's most important to you and what makes the biggest impact is essential in creating a profitable and sustainable business. One way that we help the Aligned Women members and clients to feel confident that what they're doing is enough is by honing in on their phase of business. When you know your phase of business, you can get a clearer understanding of what's truly important for you to give your time to at work. Don't you just LOVE health fairs and screenings?! Kidding!! If you're like most of the female chiropractors in our community, you probably don't love them at all--in fact, quite the opposite. Even though you may not have had great experiences with screenings in the past, there are ways you can attract practice members who pay, stay and refer at these types of events! Here's the thing though: in order to make screenings fun, easy and effective for the growth of your practice, you have to follow a few simple rules. In this episode of The Aligned Women Podcast, we'll share those rules and more about how you can increase your confidence in making health fairs and screenings work for your practice!